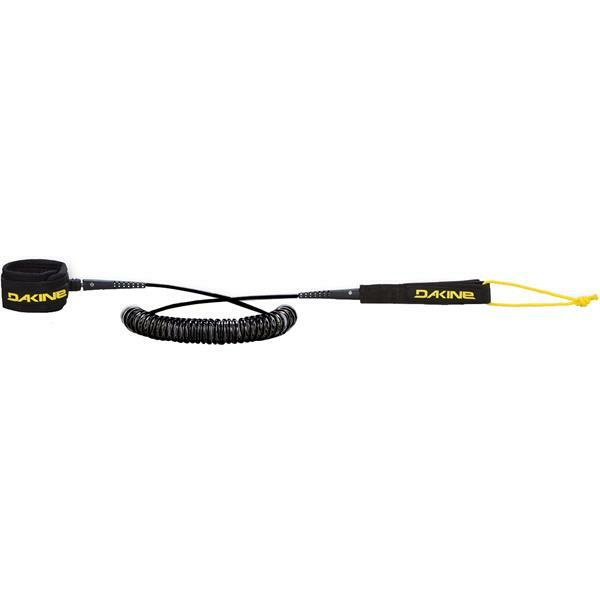 The Dakine SUP Coiled leash is our go-to coiled SUP leash offered in both calf and ankle models. Dakine relies on 35-plus years of experience in developing and refining surf leashes in this high-quality dura-cord leash. The straight-coil-straight design keeps the leash out of the water to reduce unwanted drag. A molded neoprene cuff, durable Opti-Flex leash ends and marine grade stainless steel swivel complete the package on this optimized SUP-specific coiled surf leash.